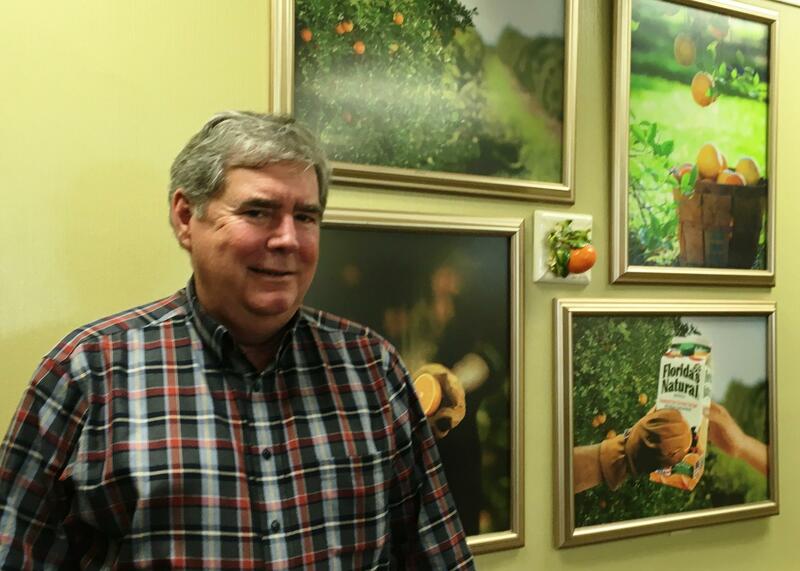 Chip Hendry, CFO for Citrus World Inc., at the Florida citrus cooperative's Lake Wales headquarters, home to Florida's Natural OJ. Florida’s citrus industry still contributes an estimated $8 billion a year to the state economy. That’s despite its longtime battle against greening - a bacterial disease that sours the fruit and is fatal to the trees. And local growers, some who have been around for generations, say disease, hurricanes and freezes won’t stop them – they are determined to keep Florida’s citrus thriving. Florida citrus blossomed in the 1940s thanks to the development of frozen concentrate orange juice. Then came the 1962 freeze and subsequent freezes over a decade. Crop losses meant Florida couldn’t keep up with consumer demand. So, some of the larger juice producers shipped in oranges from Brazil according to Bernie Lester, a former director of the Florida Department of Citrus. 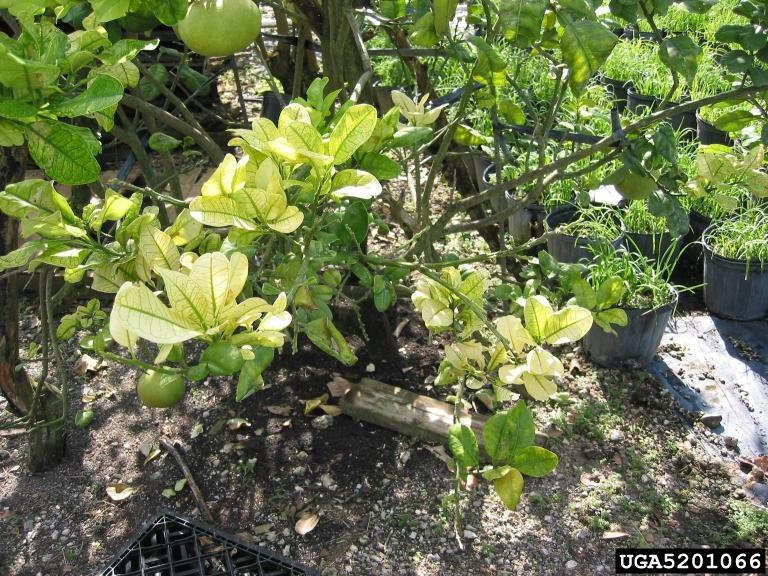 However, that solution didn’t appeal to the Florida growers’ cooperative, Citrus World, known now as Florida’s Natural. Yet, Behr said their small cooperative still holds roughly 20 percent of the national juice market. And the co-op continues to adjust as the market evolves and shrinks. The frozen OJ that was such a hot commodity in the 1950s, '60s and '70s has been supplanted by the “not-from-concentrate” juice poured straight from the carton that consumers prefer today. To make that investment pay off, the Lake Wales plant uses every part of the fruit that comes through the plant. Squeezing the juice is just the first step. The leftover rind, pith and other parts are used for animal feed, oils, molasses and even the pulp can be added to other beverages according to Chip Hendry, CFO at Citrus World. “Much of our pulp is exported to China as a developmental beverage you’d call it,” Behr said. Hendry added that they’re always looking for new ways to make money from citrus and its biproducts. One of the largest growers – and a member of the cooperative - is the Ben Hill Griffin family that has been planting and tending citrus in Florida for four generations. The fatal greening disease has forced some owners to sell their groves. But Ben Hill Griffin III said he took an opposite stand that can be seen along Highway 17 in Frostproof. Griffin said he sympathizes with smaller growers who can’t afford to take risks or absorb losses due to weather and diseases like greening. But Griffin remains optimistic. “Looking to the future - our citrus industry will come back. We will conquer greening. It may take a number of years. But we’ve got too much money in research, scientific arenas to let one disease stop us. That’s what we’re counting on,” Griffin said. Griffin believes Florida’s citrus industry continues to learn how to manage greening and other obstacles and they’re determined to not give up. Gov. Rick Scott on Wednesday urged the Joint Legislative Budget Commission to approve $340 million in federal block grant funding to help the state’s hurricane-ravaged citrus industry. 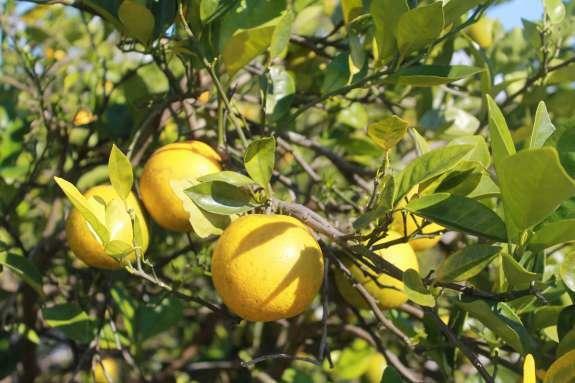 Florida’s citrus industry got some dire news Tuesday from an organization that advises the federal government on science and technical matters.